Broken Arrow Ventures is a farm located in Mill Hall, Pennsylvania owned by Rick and Christa Trude. 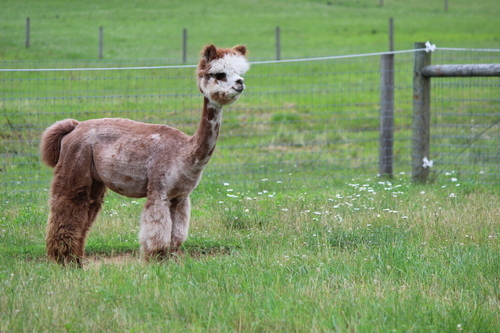 Quality Alpacas with Small Farm Charm! Producing Silver and Rose GREY!!! Last event 2018 Christkindl Market in Mifflinburg! This will be our last event for the year. After market you can call to schedule a visit or use our website for purchases. We are currently downsizing to get our herd back down to the original number we set when purchasing alpacas. We are not going out and we are not offering our females to allow for room for new stock. We have not bred any females for 2017 cria and have no intentions of any new purchases. We want to get back on track with our business plan. Otherwise, we would not be offering our foundation at such low prices. Discounts offered on package deals! Let us add multi champion west coast genetics to your herd. Book your breeding with Greener Pastures Artemis at special pricing of $800.00. He has produced both Rose and Silver Grey!!!! Be sure to check out the farm store for some amazing sales. EVERY item on sale now.....so don't miss out!!! Broken Arrow Ventures is located in central Pennsylvania just minutes from Interstate 80 and 220. We are currently downsizing to get our herd back down to the original number we set when purchasing alpacas. We are not going out and we are not offering our females to allow for room for new stock. We have only one cria due for 2016, and no intentions of any new purchases. We want to get back on track with our business plan. Otherwise, we would not be offering our foundation at such low prices. 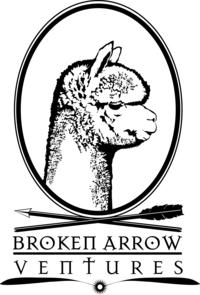 Broken Arrow Ventures is a small farm focusing on producing quality alpacas, with small farm charm. We pride ourselves in focusing on "breeding up" to continuosly improve the genetics and fleece quality. Our goal is to remain small and produce champions through limited breeding to optimize fleece characteristics and confirmation. Multi Grey Color Champion Greener Pastures Artemis is one of the standing herdsire. 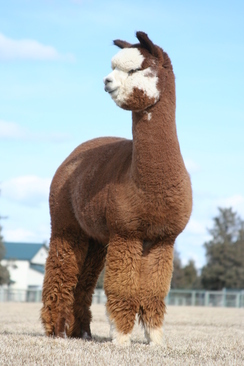 You will also find MFI Peruvian Jericho, Majestic Peruvian Jeremiah, MFI Peruvian Formula 1, MFI Peruvian Black Mesquite, PCA Accoyo El Nino,Peruvian Caligula, Peruvian Vengador, and ATV Adonis, genetics in our pastures.